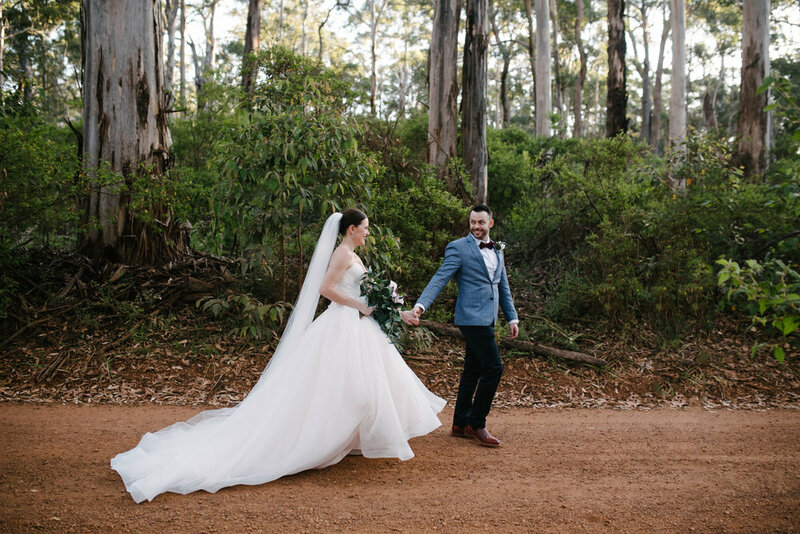 It's possible that I'll say this about every elopement of ours, but this was certainly a favourite - we LOVED the way Rachel & Tim structured their experience. 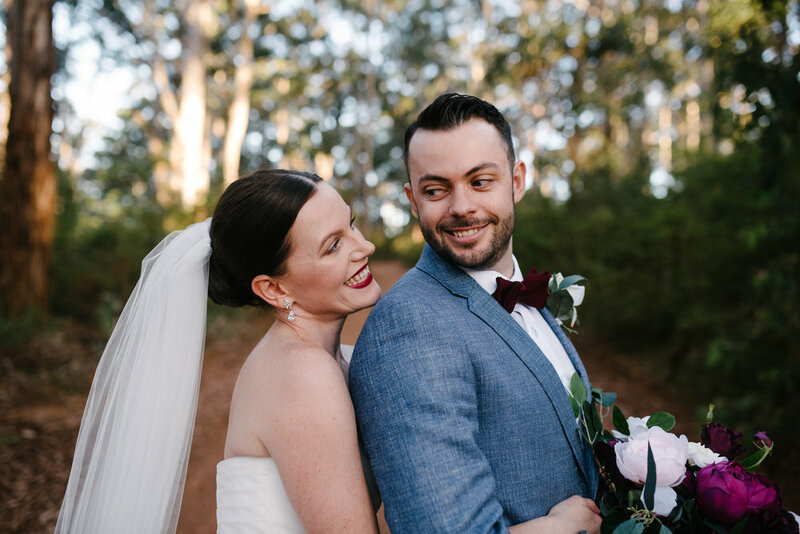 We're obviously total advocates for having your special friends and family to help you out on your wedding day, but these two gave that honour to us. 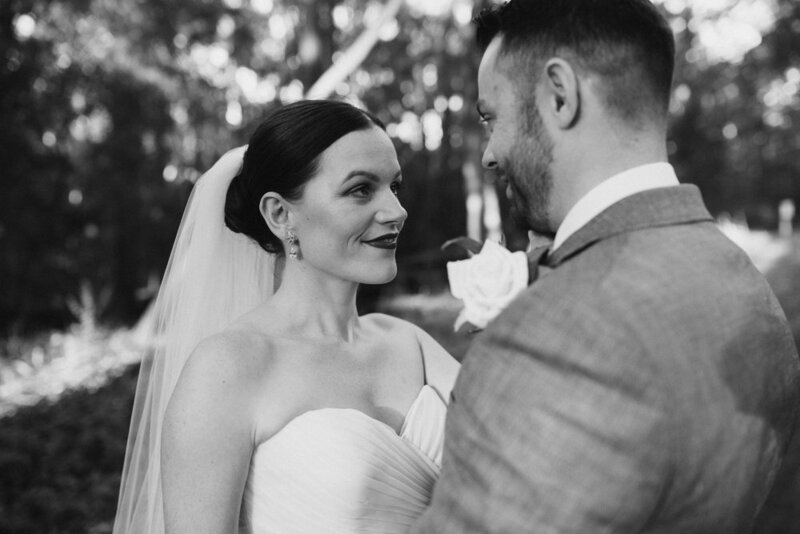 We were there to help get Rachel into her dress, give Tim his final spruce, and make sure they stayed in separate corners of the house before their first look. 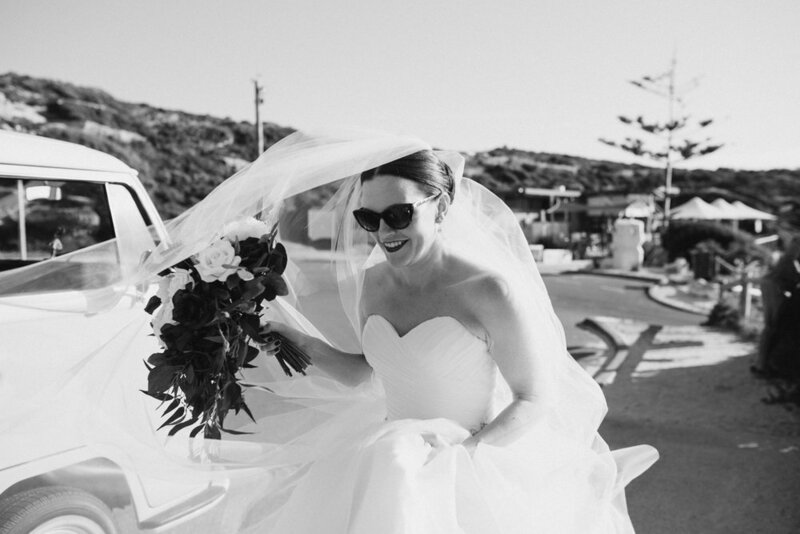 "When we were walking down the beach towards the aisle I became stuck half way as we hadn't realised that my veil had been collecting the entire beach as we were walking. So we had to stop so Tim could help release me. Even Belinda, the Celebrant came running over to rescue us. It was a funny moment. I think most brides would have probably freaked out and if I had a crowd of people waiting at the Arbor watching me, maybe I would have, but I just had laughed and carried on. 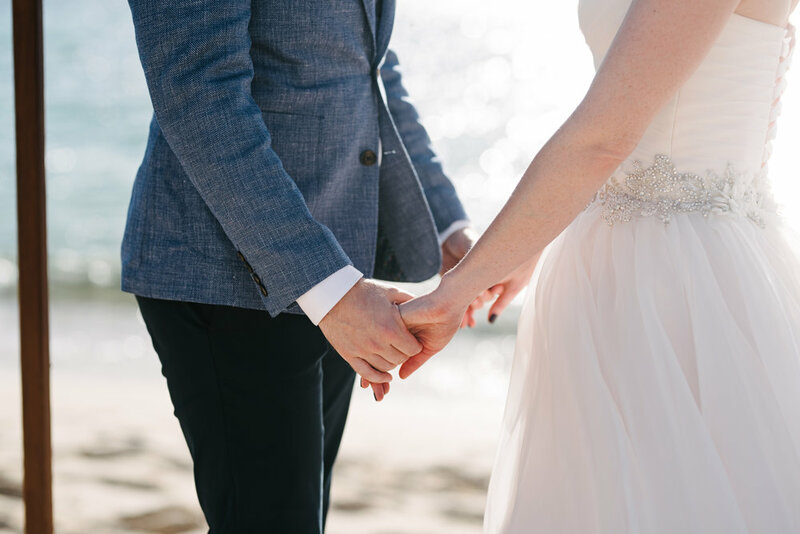 There is nothing you can do to turn back the clock on a wedding day or to say if only, only I had control on how I would be able to remember that situation, so the best thing was to just carry on, because fretting about it wouldn't have changed the fact it had happened." 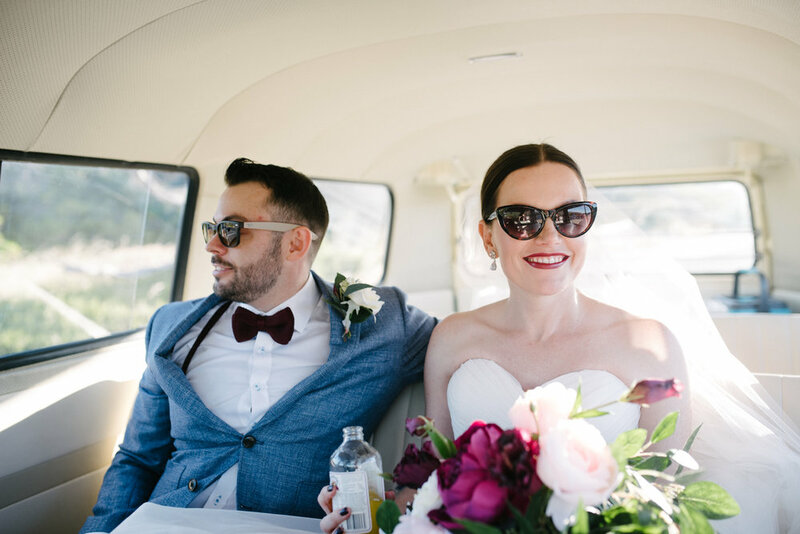 The other cool thing we loved about this elopement is that Rachel had us create a bouquet and flower pin completely out of fake flowers so they could use them again. 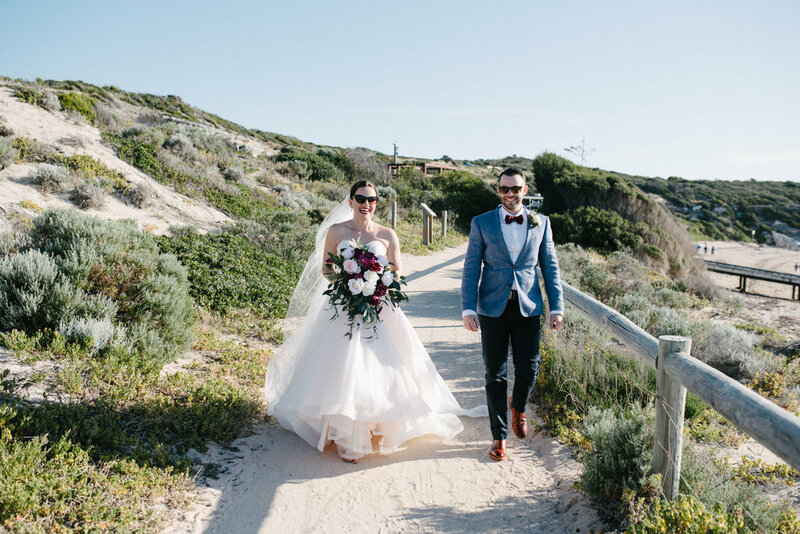 They essentially had three weddings: one Margaret River elopement, one British wedding celebration, and one Australian shindig; and the flowers made it to each and every one of those events, from Australia to Europe and back again. And how Mary made artificial flowers look so amazing, I'm not quite sure...but that's why we love her. "Have fun with it. Don't get bogged down in the detail....Concentrate on what the day is about, two people committing their lives to each other. Make sure you both have fun and spend some time with each other on the day if you are having a big wedding. It is important to take in what you have both done and to make sure you are both having a good time. Relax, take a deep breath and enjoy it."